Celebrity Cruises has released a stunning hyperlapse tour of Celebrity Edge, one of the most anticipated new cruise ships of 2018. We get an impressive tour during the fitting out phase at the shipyard in France. We’ve already posted all the sneak peek Celebrity Edge photos, and now it’s time to enjoy this cool hyperlapse tour around the entire ship. It was filmed by the cruise line while the ship is in the final stages of construction. It’s mainly now the interior spaces which are being worked on. 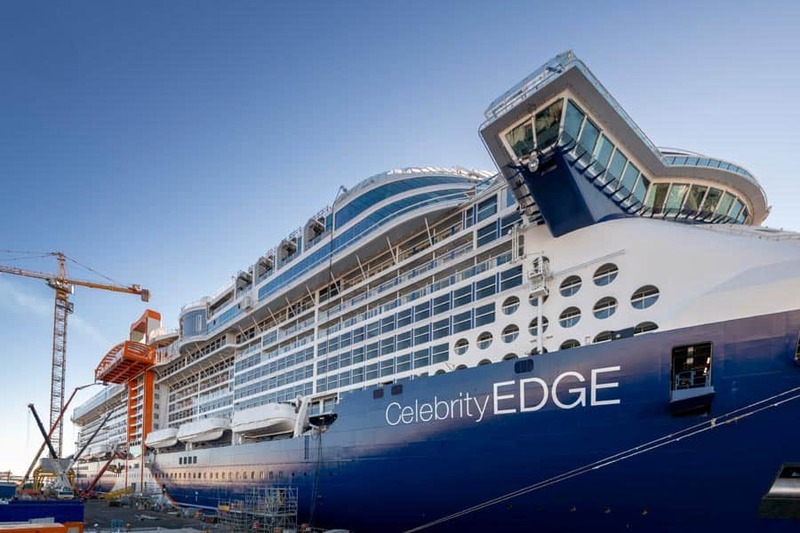 Celebrity Edge will debut from Port Everglades, Florida in December 2018 starting with two preview sailings to Nassau, Bamahas. The first 7-night Caribbean cruise will depart on December 9 and include calls in Key West, Cozumel, Costa Maya, Grand Cayman and then back in Fort Lauderdale on December 16. December will be an important month for the cruise line showing off the Celebrity Edge which is the first in her class at 117,000 gross tons and a guest capacity of 2,900. A sister ship named Celebrity Apex will join the fleet in Spring 2020 and then another two in the same class in 2021 and 2022. As a bonus we’ve got another impressive hyperlapse tor of Royal Caribbean’s Symphony of the Seas earlier in the year, it is actually one of our favorites. Take a look right here.